The recent hullabaloo over the airing of ads during Super Bowl LII brought to mind a study published last summer in JAMA Internal Medicine (the peer-reviewed medical journal of the American Medical Association) where researchers watched nearly 30,000 customers over 46 days in a college cafeteria select various vegetables and determined that touting health claims is counterproductive. Instead, relabeling food with jazzy names resulted in more people choosing the vegetable. According to Nicholas Bakalar in his In Brief article, Carrots by Any Other Name in the New York Times (6/14/2017), Alia J. Crum, an assistant professor of psychology at Stanford and the senior author of the study, noted that We’re trying to get people to eat healthier, but we’re going about it all wrong by trying to make people eat healthy by touting health claims. Instead, just relabeling food with some creative names resulted in college students eating more vegetables. Calling a sweet potato dish, zesty ginger-turmeric sweet potatoes, instead of just plain sweet potatoes resulted in 25 percent more people choosing the vegetable. Even more intriguing, 35 percent more people chose the zesty ginger-turmeric sweet potatoes than a health-conscious wholesome sweet potato superfood. And 41 percent more chose the zesty label than cholesterol-free sweet potatoes. Reporter Bakalar summed up the study’s results by noting that college students would rather eat slow-roasted caramelized zucchini bites than just plain zucchini even when both dishes are prepared exactly the same way. Telling college students to eat healthy energy-boosting green beans and shallots or vitamin-rich corn has a negative effect; Better to call them sweet sizzling’ green beans and crispy shallots or rich buttery roasted sweet corn. For this organic and local food advocate who values his monthly box of winter vegetables, part of a CSA (community supported agriculture) farm share, and the satisfaction of digging up a carrot from a backyard garden, marketing claims and jazzy renaming are greeted skeptically, if not cynically. What’s pleasing to this consumer is to receive a box of vegetables from Roxbury Farm in nearby Kinderhook (Columbia County, NY) only a few miles from home in the first week of February in wintry upstate New York that contains parsnips, potatoes, rutabaga, onions, sweet potatoes, carrots, watermelon radish, cabbage and celeriac. Wow. 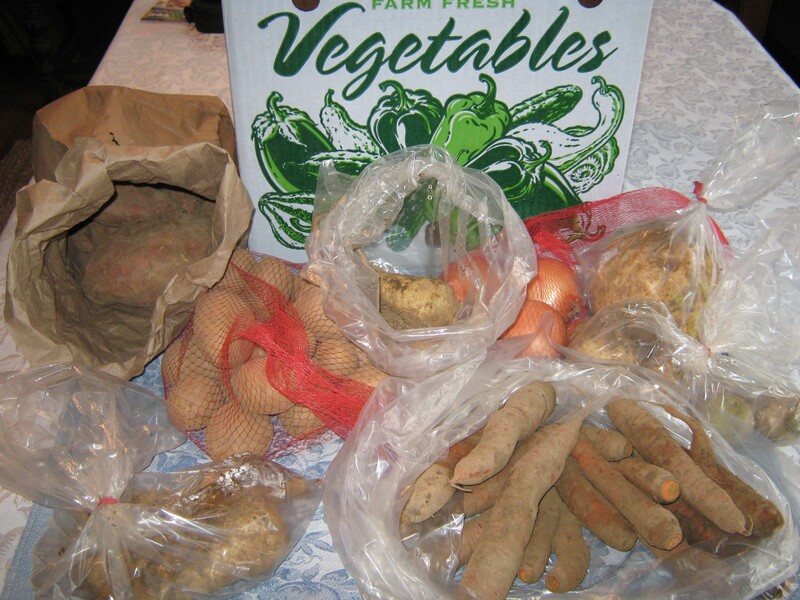 The fact that the root vegetables in the CSA winter share come “dirty” is an added benefit since unwashed root crops store for a longer period of time. Simply stated, my questions before I choose to eat a particular vegetable is where and how was it grown. 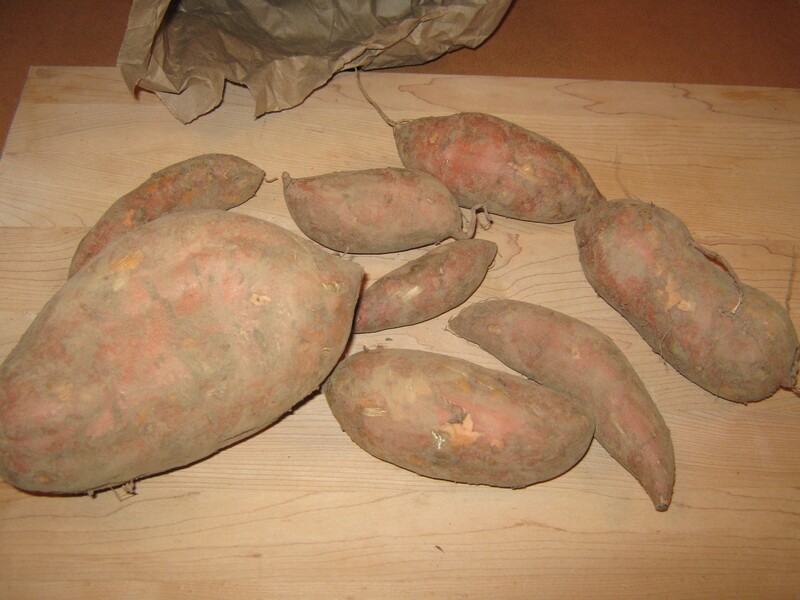 The sweet potatoes in the winter share are a culinary treat- sweet and delicious when simply baked in the oven. No need for this home cook to add any sweetener to sugar them up, and there’s zero need to figure out jazzy words for the sweet potatoes to persuade me to include them in my diet. Nonetheless in this era of marketing hype when the powerful words of Dr. Martin Luther King, Jr. are used stupefyingly to market pick-up trucks during the airing of the Super Bowl, relabeling vegetable dishes in college cafeterias is certainly an inoffensive and clever way to improve the diet of the smart phone generation.